As of this year, Options Skills will officially be delivering NVQ Level 2 Plumbing Training in Birmingham. To do so, we needed to create a space for students to complete their training course. So, for the last few months, the team in the plumbing department have been working tirelessly to create a dedicated plumbing training centre. 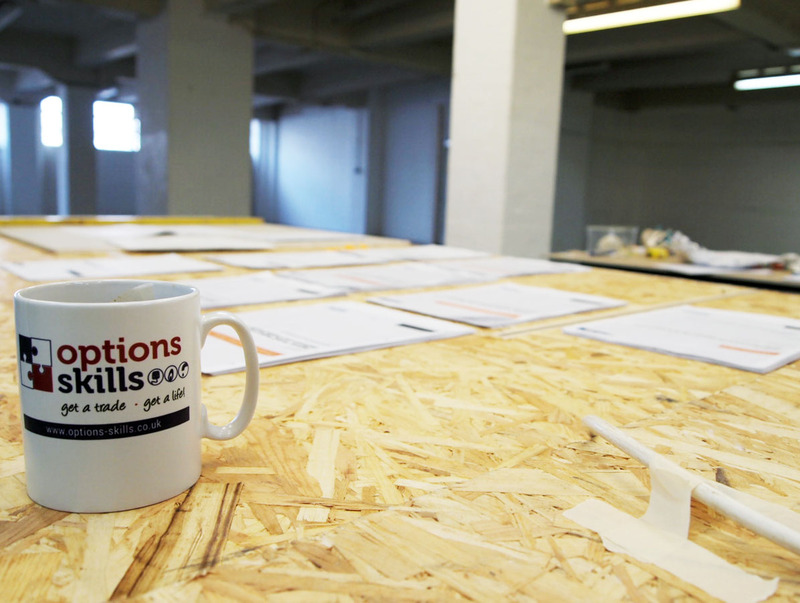 Options Skills Birmingham is located in central Birmingham in the Jubilee Centre and the plumbing course will take place on the ground floor in a newly acquired unit. Starting off as a wide, open space, it was a completely blank canvas. 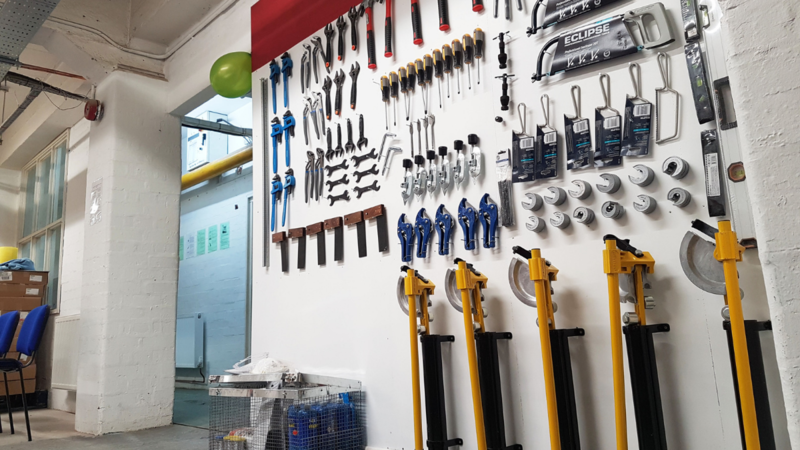 The perfect kind of space from which to create something original, bespoke – and most importantly, dedicated to the NVQ Level 2 Plumbing Training Course. From there, our plumbing trainers designed, with great detail, a brand new plumbing training centre. From the first initial sketches to accurately drawn up plans and work beginning, a whole host of time, thought and hard work went into creating this space. Throughout the process over the last few months, we’ve been tracking the development of what we were calling our ”secret project”. Teasing photos and videos of the space online via our social media platforms. Each day, the plumbing training centre changed and progressed. Soon enough, everything began to take shape. Framework went in and bays and rooms began to appear. The vision and sketches created at the start of the project began to come to life. The last visit before the grand opening of the plumbing training centre saw it was close to being finished. Dedicated classroom spaces were painted and all the bays were in. 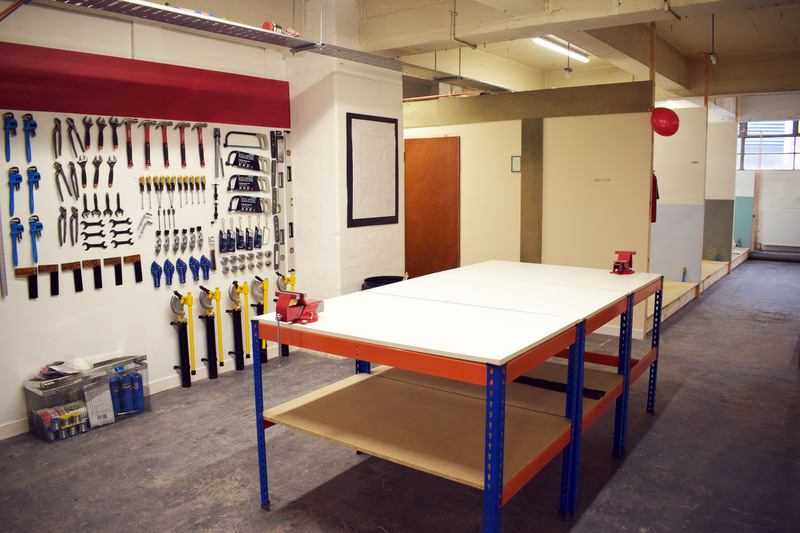 Tools and equipment were set out and organised – ready for the students to begin. On Friday 18th January, our dedicated plumbing training centre officially opened. 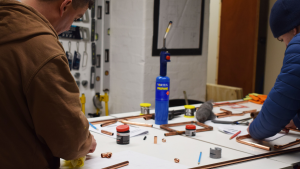 The first class of NVQ Level 2 plumbing students began their training just three days later. The plumbing training centre features a combination of practical work areas, bays and classroom space. There is also a common area for students during break and lunchtimes. Providing a fully-equipped and high-quality training centre is something we pride ourselves on. We believe offering a professional yet relaxed environment is essential to ensuring for students. At Options Skills, trainees are able to focus solely on their training, working to the best of their ability and gaining their qualifications. 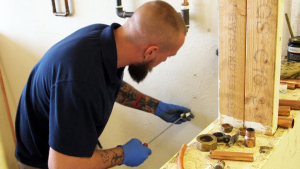 Interested in training to become a plumber and earning you NVQ Level 2? Our 2-step training course combines centre led training with on-site work experience. Students gain a range of knowledge and experience, as well as confidence. For more information, you can visit our NVQ Level 2 Plumbing Training Course page or speak to one of our advisors on 0800 802 1306.